Backed by the global reach and reliability of our IP-based MPLS network, AT&T Telepresence Solution can help you extend the impact, frequency and value of face-to-face collaboration to help build relationships and grow your business. AT&T Telepresence Solution is the industry’s first global, end-to-end managed, business-to-business telepresence solution. 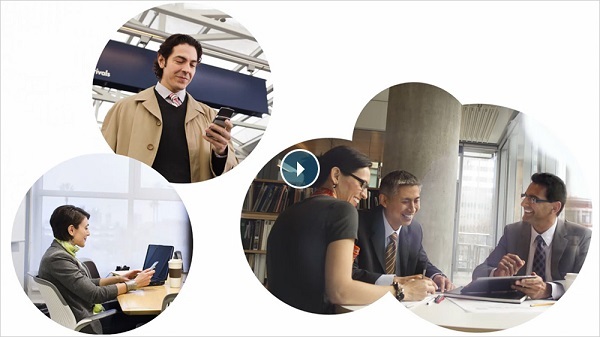 Subscribers can collaborate with customers, suppliers and business partners via the AT&T Business Exchange, a unique network-based capability for intercompany collaboration. Offering highly secure and reliable, inter and intra-company virtual collaboration via the high-performing, global AT&T VPN network and one of the largest networks of telepresence endpoints, AT&T’s flexible enterprise solution includes design, planning, room-system hardware, deployment, maintenance and on-going service support options; for a monthly service fee — limiting upfront capital costs and risk of technological obsolescence.